Last Mine Resistant Ambush Protected vehicle to exit Iraq reaches Fort Hood. The final military vehicle to leave Iraq has reached Texas and will be displayed at Fort Hood. Crews at the Port of Beaumont on Monday unloaded the Mine Resistant Ambush Protected vehicle, known as MRAP, from a cargo ship. Battalion Sgt. 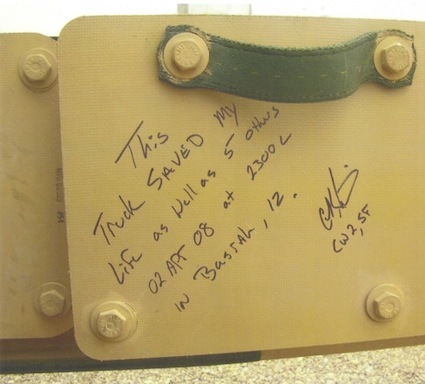 Maj. Michael Stone confirmed the equipment was the final military vehicle to travel from Iraq to Kuwait, with a photo proving the distinction.